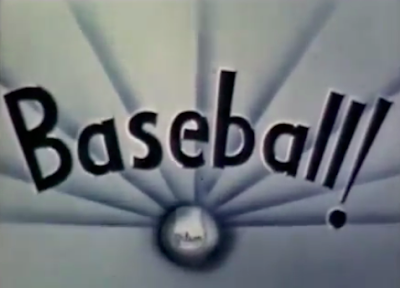 This week, several baseball sources shared this full-color, 26-minute movie made to help Pacific Coast League teams promote themselves as equal to the East's AL and NL. WWII called a great deal of attention to the West Coast and recharged the American economy, so it makes sense the PCL would use the postwar boom in families and media to take a step up. MLB expansion in the 1950s put an end to its "three major leagues" aspirations, but they continue as AAA affiliates for the foreseeable future. Two managers stood out to me in the video for their work in and beyond the PCL. Lefty O'Doul (SF Seals) found success both as player and baseball ambassador to Japan, a role that pays major league dividends to the present day. Former Boston and Brooklyn manager Casey Stengel (Oakland Oaks) used his PCL title to return as MLB manager for the Yankees, which yielded several titles and a plaque in Cooperstown. Here's my list of pre-expansion PCL #5 profiles--some yet to be written--which include several players and teams shown in the video.